Smoked Páprika powder that is easy use. Conveniently small in size to not take up any space in your kitchen. 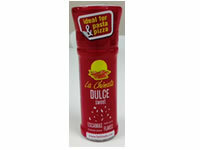 Highly recommended for your pizzas and pasta dishes. 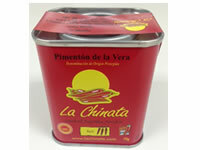 The Smoked Dried Peppers are crushed into small flakes to give a new flavour to your kitchen. Very easy to use. 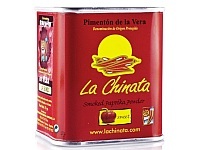 La Chinata HOT Smoked Paprika is obtained by grinding mature, dried peppers. The peppers are dried using Oakwood, which generates sufficient heat to dehydrate the fruit perfectly .